Size : 3m by 3m. Style : fashionable and customized. as you see this kiosk, size usually is 3m by 3m (can customized) . 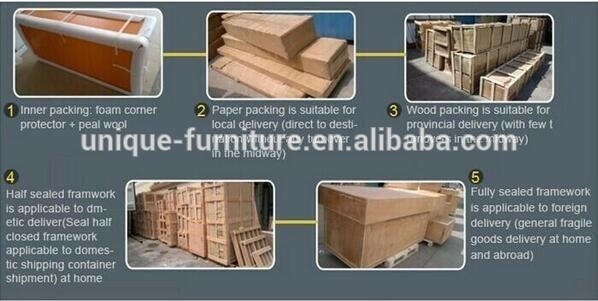 this kiosk base material is plywood, surface is green laminate. white corian work table, stainless steel topping with tempered glass cover.two self-help frozen yogurt machine is open for customer, the cashier counter is on the door left acrylic logo with light on the kiosk surface. also have a light box for showing menu to customizer. 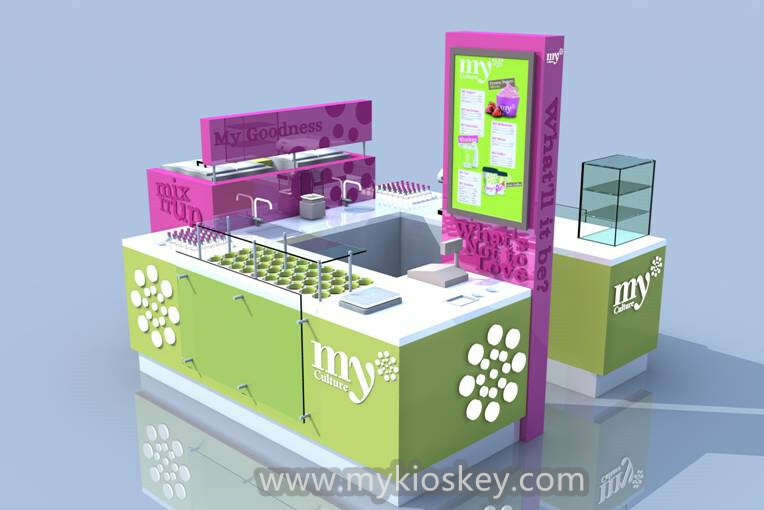 the kiosk whole layout can customized according to your ideas. Send the design for your check, if you have something dislike we can change it to you for free. Confirmed the design, start drawing construction plan for this kiosk. Production this kiosk according to 3 D design and construction plan. Take finish pictures for your check, then packing and shipment to your port. 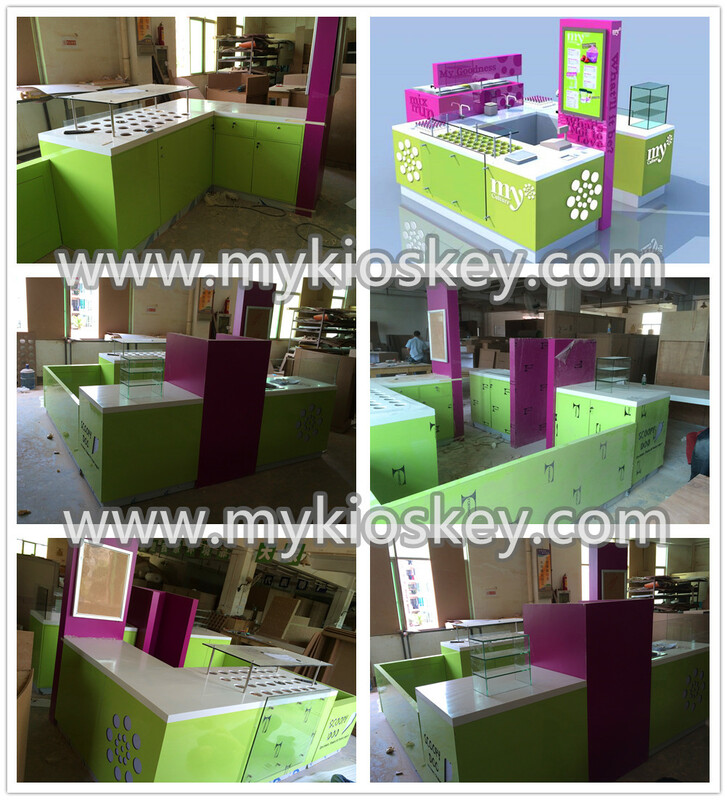 Thanks for your time and looking forward to your inquiry about our product, if you interested build a food kiosk like this one, pls contact me as below.